I’m taking part in the Constantiaberg Art Society’s Spring Exhibition at the moment. 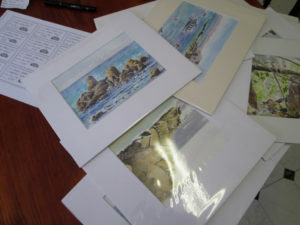 It will be on at Kirstenbosch until the 20th of September and was busy covering and labelling my sketches. I also have five oil still life paintings on show.